With the upcoming long weekend just around the corner, my hubby and I decided to take advantage of it and plan an extended long weekend at the cottage (ie: 5 blissful days relaxing in the sun and swimming in the lake). This cottage has been in my family for over 30 years. And, most likely, has had the same decor since then. 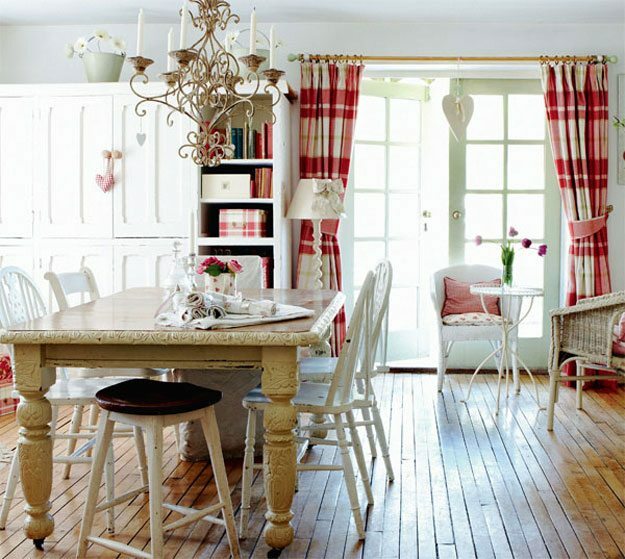 It's rustic, cozy, and very much how a cottage is meant to be. I love it! I have so many great memories here from my childhood - spending every summer there with my grandparents, playing with the neighbours' kids, and spending all day swimming. 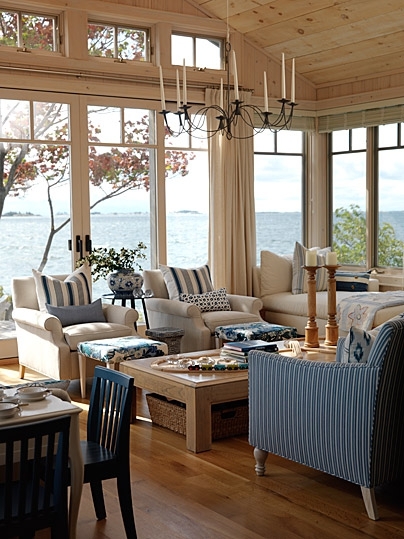 The colours in this cottage interior designed by Sarah Richardson were inspired by the blues of the surrounding lake. It feels so airy! I love the mix of blue and red in this traditional cottage bedroom. Breakfast in bed + this bedroom = complete relaxation! 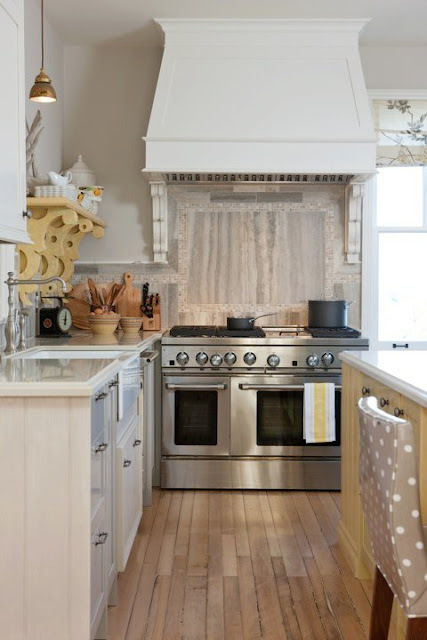 The over-sized corbels holding up the wall shelf reminds this modern kitchen of its country charm. And check out the marble inlay behind the stove - the natural stone complements the cottage feel perfectly! How will you be spending your upcoming long weekend?